The Cowin E7 are budget noise-canceling headphones with a great wireless range but mediocre sound quality. They're decent for most use cases but tend to sound a little dark and muffled. On the upside, they have a moderately comfortable design, a long battery life, and block a decent amount of noise for commuting. Unfortunately, their budget price shows in their build quality which feels a bit cheap at times. The Cowin E7 have a decent design and build quality but feel slightly cheap. They're well-padded headphones that won't be as comfortable for all listeners since their headband doesn't extend far enough to accommodate different head shapes and sizes. They're also a bit bulky and slightly tight for some. On the upside, they have a good but slightly cramped control scheme, and the tight fit makes them relatively stable. They won't be the ideal headphones for working out and more strenuous exercises but they should be fine for casual listening sessions and even a light jog. The Cowin E-7 look decently stylish but don't have the best build quality. They have a thick and well-padded headband that feels more high-end than the rest of the design. 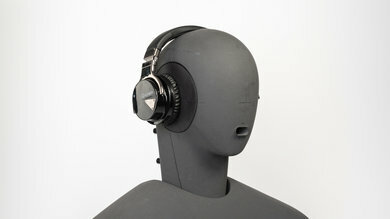 The ear cups are also equally well-padded but the plastic used in their build quality feels low grade and bit cheap. They also have a glossy finish which won't be for everyone. The Cowin E7 are well padded and decently comfortable headphones but the headband doesn't extend far enough to accommodate all head sizes. 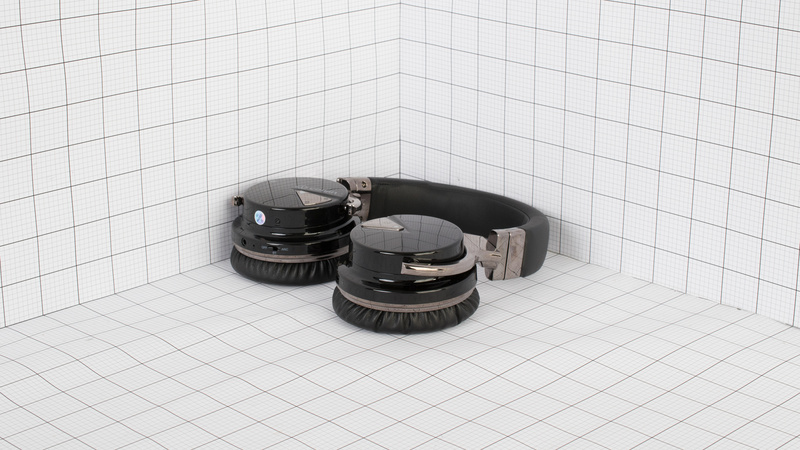 They're relatively lightweight and the padding used for the ear cups and headband is soft which reduces some of the clamping effect that these headphones have on some listeners. They're not especially uncomfortable but because the headband doesn't extend far enough they will feel a bit tight on some heads. For a more comfortable budget headset, take a look at the Mpow H10 or the Anker Soundcore Life 2. The button layout for the Cowin E7 feels a bit cramped but delivers good feedback. They have responsive and clicky buttons for volume control, call/music and skipping tracks. They also have a dedicated switch to enable Bluetooth and noise cancelling. However, the cramped layout and the odd placement of the volume controls are not as intuitive and may take some time to get used to. The Cowin E7 are decently breathable for an over-ear design. 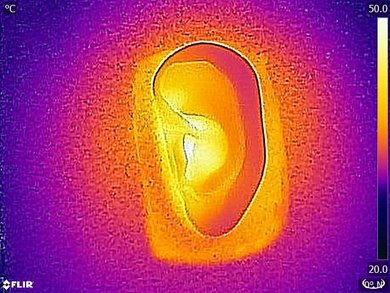 They will warm up your ears and make you sweat during more intense exercises, but you can listen to them for more than an hour during casual listening sessions and not be too bothered by the temperature difference. However, they won't be the ideal headphones for sports or really long listening sessions. In this case, an in-ear or an open back headphone would be better options. These headphones do not fold to take less space. They're on the larger side for over-ear headphones with a slightly bulky design that's not convenient to carry on your person. 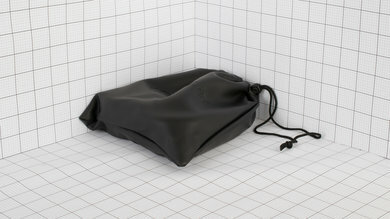 The ear cups do lay flat, but it doesn't save much space, so you will most likely need a bag to carry them around. The Cowin E7 come with a basic pouch that will protect the headphones against minor scratches but won't shield them from impacts, drops, or water damage. The Cowin E7 have an average build quality that feels a bit cheap. The headband is well constructed with a metal frame for reinforcement. However, the plastic used for the ear cups feels low grade and a bit cheap. They won't break from a few falls, but the ear cups and hinges do not feel as durable as the more recent Cowin SE7 or even some of the other budget headphones we've reviewed in this price range. These headphones are above-average stable. They have a relatively tight fit on some heads which means they won't move a lot during casual listening sessions and even a mild jog. However, they are not sports headphones, due to their bulk and size they still sway a lot during strenuous activities so they won't be the ideal headphones for running or working out. On the upside they're wireless, so they won't get yanked off your head because the cable got hooked on something. 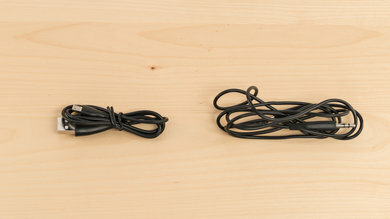 These headphones come with two cables; a 1/8 TRS audio cable and USB charging cable. 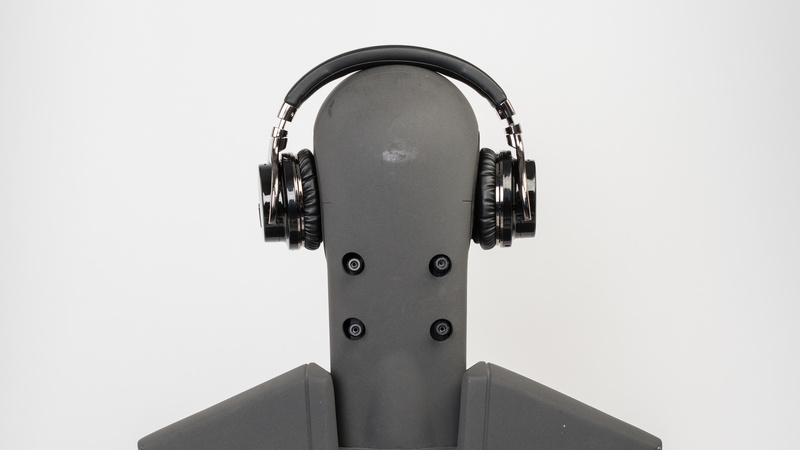 The Cowin E7 are a mediocre sounding pair of closed-back over-ear headphones. They have a deep and extended bass capable of producing thumps and kicks and perform very consistently across multiple users. However, their bass tends to sound boomy, their mid range is muddy and overpowering, and their treble lacks a lot of clarity and detail. Overall, they sound a bit cluttered and mid-rangy, and vocals and lead instruments will lack some presence. Additionally, they don't have the most open and spacious soundstage, and their distortion performance is about average. The Cowin E7 have a good bass performance. The low-frequency extension (LFE) of 10Hz indicates a deep bass that extends well into thumps and rumbles. Low-bass and mid-bass are relatively flat and within 2dB of our target response. This results in an adequate punch and balanced reproduction of bass and kick instruments. However, high-bass is overemphasized by 5dB making the overall bass sound noticeably boomy. The mid-range performance is mediocre. Low-mid is overemphasized by more than 6dB. This is the continuation of the high-bass bump and makes vocals and lead instruments sound muddy and thick. Mid-bass is also over our target response, by 4dB which gives more emphasis to vocals, and brings them to the front of the mix. The dip around 2KHz hurts the presence and projection of lead instruments. The overall tone of the mid-range is rather cluttered and muddy, while lacking some presence. 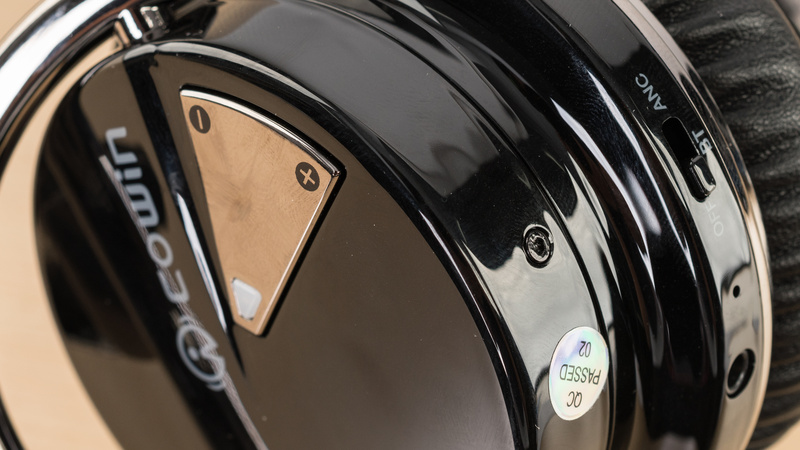 The Cowin E7 have a poor treble range performance. The overall response is rather inconsistent, which could result in an uneven treble. Low-treble shows a 10dB lack centered around 3.5KHz negatively affecting the presence and articulation of vocals and lead instruments. Mid-treble is a couple of dBs underemphasized, placing the overall treble tone and brightness just south of neutral. The frequency response consistency is excellent. The Cowin showed very little variance in bass delivery across our 5 human subjects. This could be due to their noise cancelling system, similar to what we noticed with the QuietComfort 35 and the WH-1000XM2. In the treble range also, the maximum variance below 10KHz is less than 1dB. Overall, they should be able to deliver consistent bass and treble across multiple re-seats and users. The imaging is above-average. The maximum weighted group delay of the Cowin is 0.21, which is pretty good. It can also be seen in the graph that the group delay is constantly below our audibility threshold. The rise in the group delay below 20Hz is not ideal, but should not be audible to most. Additionally, our test unit showed decent matching between the L/R drivers. This helps with accurate placement and localization of objects (like footsteps, voice, instruments) in the stereo image. The soundstage of the Cowin E7 is sub-par. The PRTF response doesn't quite follow our reference speaker's in accuracy, size, or distance. Also, due to the closed-back design and active noise cancellation, their soudnstage won't feel as open and spacious as open-back headphones. The overall soundstage of the E7 will be average in size, but mediocre in distance and accuracy, which may be perceived as unantural and located in-side the listener's head. The total harmonic distortion performance of the E7 is about average. The overall response is rather elevated, especially in the mid and treble ranges. This could have a small negative effect on the clarity and purity of those regions. On the plus side, the THD in the bass is within decent limits, and there is not a significant rise in THD under heavy loads. The Cowin E7 Active Noise Cancelling have a decent isolation performance. They actively cancel ambient noise so that you can use them during your commutes without getting distracted by all the noise around you, especially if you're listening to music. They also create a sufficiently good seal around your ears that doesn't leak much, which makes them an above-average option to use in quieter settings. However, at high enough volumes, they will be audible to the people around you, and their somewhat decent isolation won't be enough for particularly noisy environments. The noise isolation performance of the Cowin E7 is okay but not as good as some similar headsets we've tested like the Anker SoundCore Space NC. The active noise-cancelling system achieves about 8dB of reduction in the Bass Range which is below average. This range is occupied by the rumble of airplane and bus engines. 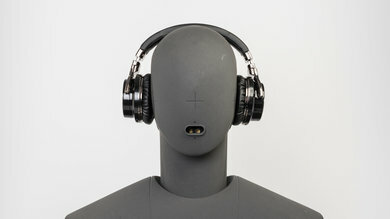 In the Mid and Treble Ranges, mostly occupied by speech, these headphones isolate passively using their ear cups, achieving 13dB and 33dB of reduction in the Mid and Treble Ranges respectively. Both values are within decent limits. However, these headphones are a bit on the noisy side, performing below average in our self-noise test. See our recommendations for the best noise cancelling headphones. The leakage performance of the Cowin E7 is decent. The significant portion of leakage sits between 300Hz and 3KHz which is a relatively broad range and it covers most of the Mid Range. The results in a leakage that sounds fuller and more comprehensible than the leakage of in-ears and earbuds. However, the overall level of leakage is not too loud. So the leakage should not be an issue in most situations, unless you really blast the music in a quiet environment. The performance of the Cowin E7's integrated microphone is mediocre. Speech recorded with the mic will sound rather thin and noticeably muffled. However, it will still be reasonably comprehensible in quiet environments. In noisy situations, however, they will struggle to separate speech from ambient noise even in moderately loud environments, such as a busy street. The integrated microphone of Cowin E7 have a mediocre recording quality. The LFE (low-frequency extension) of 258Hz results in recorded/transmitted speech to sound thin. The HFE of 2.6KHz results in a speech that sounds noticeably muffled. However, the recorded/transmitted speech would still be reasonably comprehensible, since that is mostly dependent on the 500Hz-3KHz range. The noise handling of the E7's mic is mediocre. In our noise handling test, they achieved a speech-to-noise ratio of 11dB, which means they will mostly be suitable for quiet environments and will struggle to separate speech from background noise even in moderately loud environments. The Cowin E7 have a long battery life that lasts more than 24 hours of continuous playback but takes a bit of time to charge. Unfortunately, they won't be the ideal headphones for watching movies due to their relatively high latency. The E-7 have a long lasting battery life but a long charge time. Although they do give you about 45 minutes of playback from a 10 minutes charge, to charge them fully, you have to leave them plugged in for more than 3 hours which is not ideal. On the upside, they can be used completely passively, and they can continue playing audio while charging. Unfortunately, they do not automatically turn off to save battery. The Cowin E-7 have no compatible apps. Check out the Sennheiser HD 4.50 for a good noise cancelling headphone with a great customizable app. However they're quite a bit pricier than the Cowins. The Cowin E7 have a good wireless range and come with a regular audio cable. This gives them a wired and wireless connection option via Bluetooth and they're fairly easy to pair with smartphones thanks to NFC support. They do not come with a base/dock and unfortunately, they have a bit too much latency to be suitable for gaming or watching movies. Their latency is about average for most Bluetooth headphones which should be more than fine for audio but won't be ideal for watching a lot of video content. The Cowin E7 are budget Bluetooth headphones that support NFC for easy pairing with smartphones. Unfortunately, they can't pair simultaneously with multiple devices but should be relatively easy to pair with one Bluetooth source. The Cowin E7 come with an audio cable with no in-line remote or USB adapter. this also means they do not have a mic that is compatible with consoles. The Cowin E7 do not have a base/dock. If you want a versatile headset with a base that you can also use wired, check out the Arctis Pro Wireless by SteelSeries. The Cowin E7 have a great wireless range that's suitable for both indoors and outdoor use. In direct-line-of-sight, they reached up to 180ft before any major connection drops, and even when the Bluetooth source is obstructed they still had an above-average range of more than 45ft. These headphones have about 160ms of latency. While this is about average for most Bluetooth headphones with no additional low latency codecs, it also means they won't be ideal for watching videos. 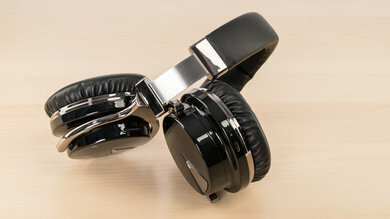 If you need to watch movies either use them wired or get the Audio-Technica ATH-M40x for their wired connection and good sound. The Cowin E7 are average mixed usage headphones thanks to their great wireless range, above-average battery life, and decent noise canceling (they're one of the best budget noise cancelling headphones we've tested in 2018). 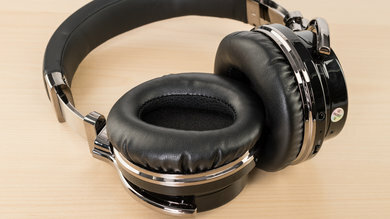 However, they're not the most comfortable pair of headphones and sound mediocre-at-best compared to some of the other budget headphones we've reviewed. 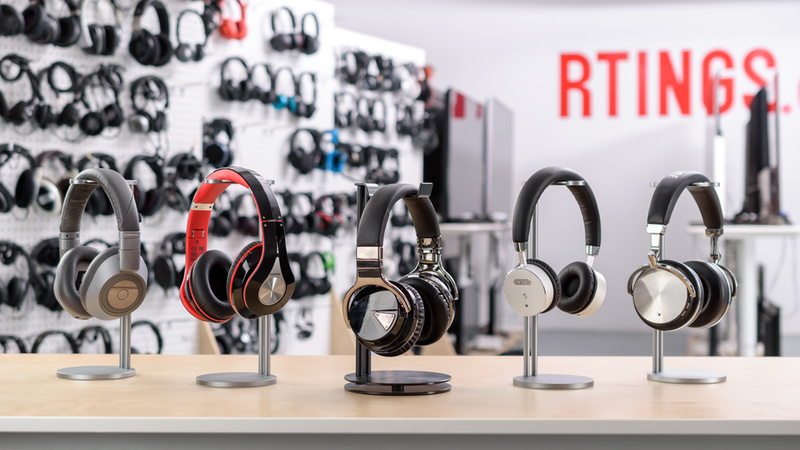 See our recommendations for the best noise cancelling over-ear headphones and the best-over ear headphones. 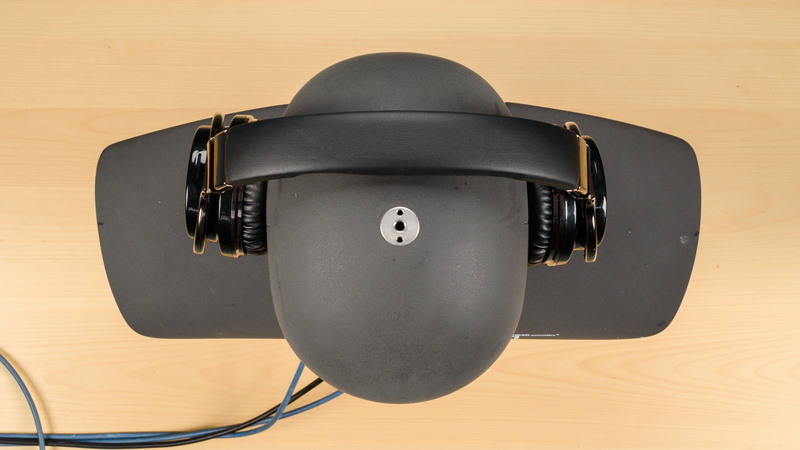 The Cowin E7 Pro are a slightly better headset overall than the Cowin E7. The E7 Pro have a more balanced sound profile that favors instruments and vocals, compared to the E7's more bass-heavy sound. This makes the Pro variant a bit more suitable for critical listeners. The E7 Pro also last a bit longer on a single charge than the regular E7, but take considerably longer to charge, too. On the other hand, the regular E7 delivers better value for the price, since they perform almost as well in all other categories when compared to the Pro, but are slightly more affordable. The more bass-heavy profile also makes them a better pick for bass-lovers that want a noise cancelling wireless headset on a budget. 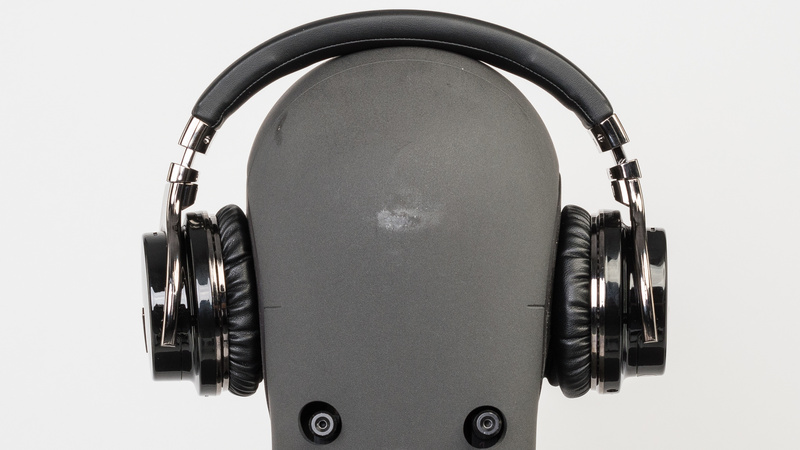 The Mpow H5 are better budget noise cancelling headphone than the Cowin E7. The Cowins have a better noise cancelling performance and a longer battery life. They also have a lightly clearer mic and a better isolation performance overall, since they also leak a little less. On the other hand, the H5 look and feel a bit more premium, have better and less confusing controls, and also have a more comfortable fit even if they're a little tight on the head. The Mpows also have much better sound. 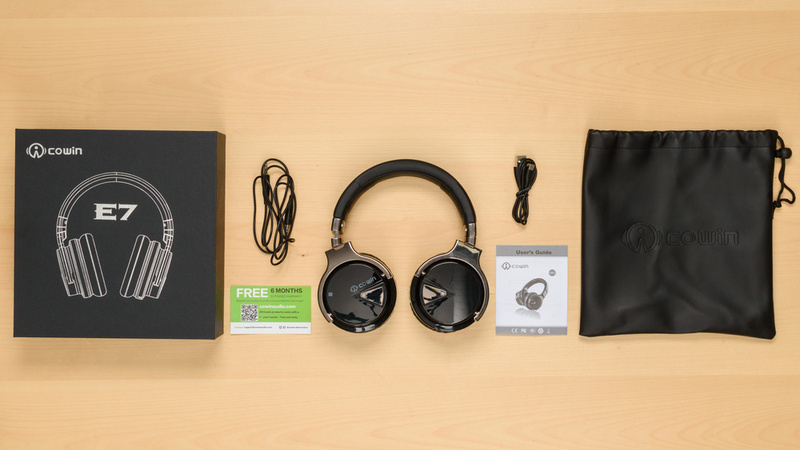 The Cowin E8 are better noise-canceling headphones than the Cowin E7. The E8 have a better noise canceling performance and are a bit more comfortable than the E7. They also have easier to use controls and a better-balanced sound overall. On the other hand, the E7 have more bass, which some listeners may prefer. They also have a longer battery life and support NFC, so they're a bit easier to pair with your phone. The Mpow H10 are better headphones than the Cowin E7. They are more comfortable to wear for long periods of time and the padding is very soft compared to the rigid one on the E7. 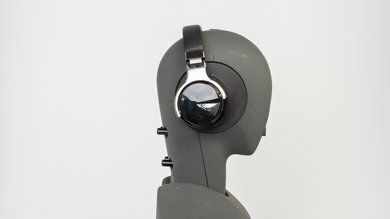 The Cowins also have mediocre sound quality with heavy bass and treble that lacks a lot of detail. The H10 also isolate more ambient noise and will be better suited for commuting. The only thing that the E7 have over the H10 is that their battery life is slightly longer, but it takes more time to charge. However, this doesn’t overcome the massive difference in sound quality. The Anker SoundCore Life 2 are better headphones than the Cowin E7. They are noticeably more comfortable and slightly better-built. Their sound quality is also better and more accurate. On the other hand, the Cowin don’t get as hot as the Life 2 after use, but they don’t have an in-line microphone like the Life 2 have. Their build feels plasticky and their glossy finish is fingerprint-prone. The Cowin E7 are decent for mixed usage. These headphones block enough ambient noise for commuting and do not leak much for quieter settings like being at the office. 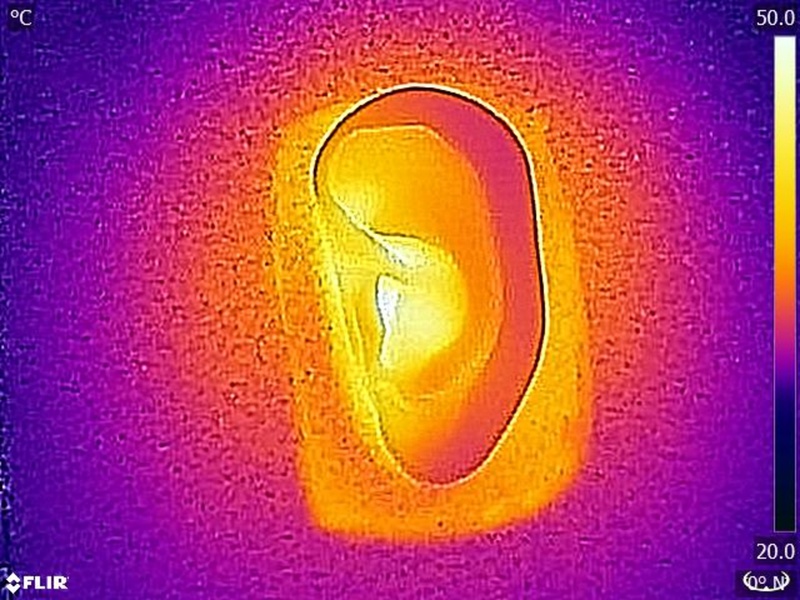 They're not the most comfortable for all listeners, but they have a stable enough fit that they won't immediately fall off your ears if you run with them. Regrettably, they have a sub-par sound that will not be ideal for critical listening and may even sound too dark for more casual listeners. Average-at-best for critical listening. They have a good bass and an average mid-range but lack a good treble performance, which makes them sound a bit dark and muffled. 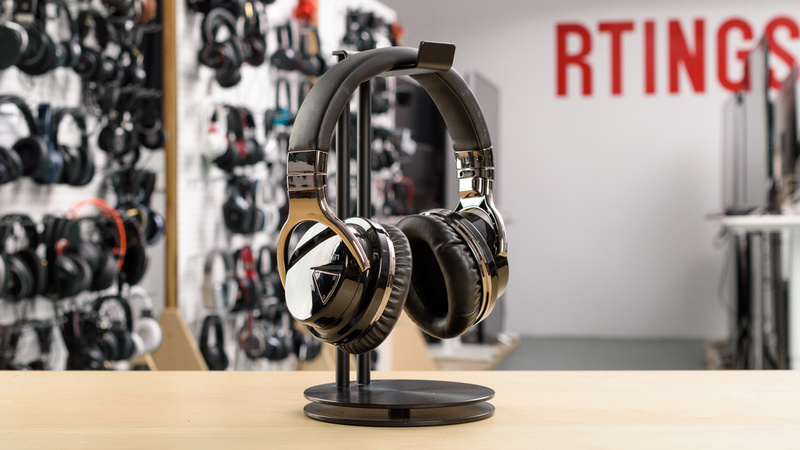 They also have a relatively narrow soundstage due to their closed-back, noise canceling design. They won't be the best headphones for critical listening. Average for commuting. They block enough noise for moderately loud environments. They don't leak much and have a decent control scheme. However, they're a bit bulky and are not the most portable headphones to carry around on your person. Average for sports. They're wireless and have a tight fit on some listeners, which prevents them from easily falling off your head. However, they're a bit bulky for running and working out. They're also not as comfortable. They're a bit more breathable than most over-ears, but will still make you sweat more than usual during intense exercises. Average for office use. They do not leak much, at relatively high volumes so you won't distract your colleagues. They also block a decent amount of ambient noise but may not be able to cancel out the chatter of a particularly lively office. Unfortunately, they're not the most comfortable headphones to wear for really long and extended listening sessions. Below-average for home theater use. They have a great wireless range and a decently comfortable design but they have relatively high latency which won't be ideal for watching videos. They do come with an audio cable which would make latency negligible but it's relatively short and you will need an extension cord for most home theater setups, unless you're watching movies on your tablet, phone or PC. Subpar for gaming. They have too much latency, they're not compatible with consoles via Bluetooth and cannot be customized to the extent of other gaming headphones. They also have a mediocre-at-best integrated microphone.